George Hess, EDM and Dance Music Consultant, started his career at Arista in 1989, where he rose to become the Senior Director of the Dance Music department, breaking such artists as Taylor Dayne, TLC, Exposé, and Lisa Stansfield. In 1994, he started Elite/ADM Marketing, a national radio and street promotion company, and was instrumental in launching careers for artists such as Mary J Blige, Mariah Carey, Eminem, Snoop Dogg, Lil Jon, 50 Cent, 98 Degrees, Sean Paul, and Everything But The Girl. 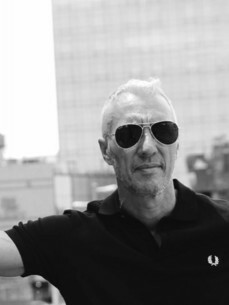 In 2005, he served as Head of Global Promotion for Strictly Rhythm Records, a company known as the “granddaddy of all house music labels,” with artists such as Nadia Ali, Todd Terry, and Groove Armada. Over the past decade, Hess has consulted for top EDM/Dance Music labels, including Armada Music, Kontor Records, Phazing, Casablanca Records, Enhanced Music, Cloud9, Revealed Records, and Dim Mak Records. He specializes in building strategic teams to bring artists like Armin van Buuren, Steve Aoki and Hardwell to pop radio and culture in the U.S.